Rally House in Allen Fieldhouse is located on the University of Kansas Campus, in Lawrence, Kansas. Head east of Iowa Street on W 19th Street and turn north onto Naismith Drive. 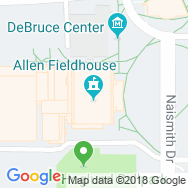 Allen Fieldhouse is between the Hoglund Ballpark and the DeBruce Center. During games, Rally House stations are available throughout the stadium with the home store located on the second level, nearest to the DeBruce Center and the Official Rules of Basketball display. Calling all Jayhawks! Why not pick up your KU gameday gear AT the game?! Rally House in the "Phog" Allen Fieldhouse is your University of Kansas team shop! 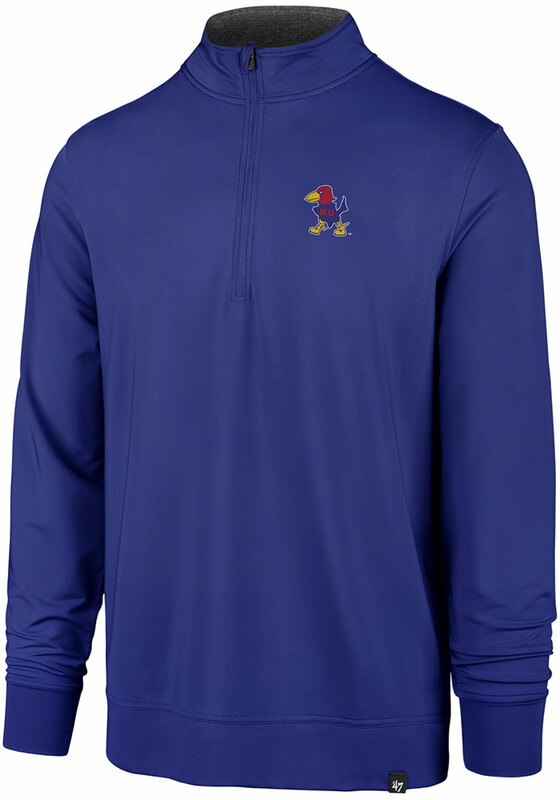 Whether you are shopping for comfortable men's t-shirts or stylish women's KU clothes, you'll find everything you need for KU basketball gameday at Rally House Allen Fieldhouse. Come in before the game to snag a KU Basketball T-shirt, a Kansas hat, and Jayhawk socks to flaunt in the stands. Swing by at halftime for a customized KU Basketball Jersey, then meet us at the 4th quarter to grab an autographable KU basketball for that possible, post-game celebrity moment. There is no place like Lawrence. The intense, late night games at Allen Fieldhouse, the chilly Sundays at Memorial Stadium, and the action-packed matches at Horejsi Family Arena fuel this town. Whether you're a local representing your city or a visitor travelling through, Rally House/Kansas Sampler on Mass Street has Lawrence shirts perfect for your unique style and Kansas souvenirs to commemorate your road trip. Shop our local collections to represent Lawrence and remember Kansas with Kansas apparel, Kansas souvenirs, Wizard of Oz gifts, and even Team USA gear. Regardless of which city, area or team you love to represent, we can all show our RALLY!